Let’s Get Brewing with Deck Recipes! 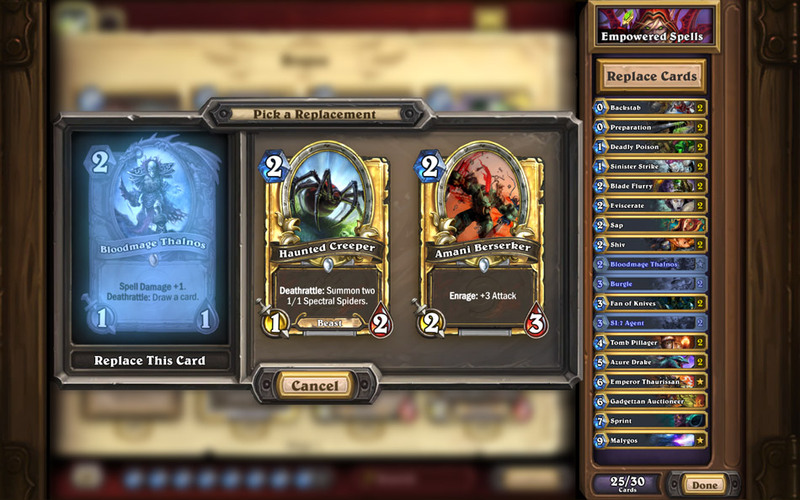 Ready to embrace your inner deck-builder, but not sure where to start? Don’t fret, friend! Deck Recipes are coming to Hearthstone to help inspire* new deck-builders to create fun and functional decks! 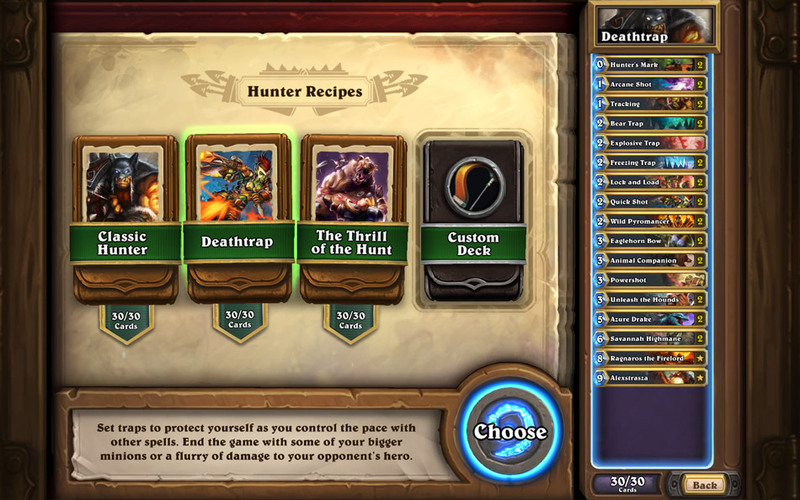 Deck Recipes are a new feature coming to Hearthstone to help budding deck-builders get a head-start on quickly crafting a solid deck to play in the Tavern. They’re great for both new players who haven’t built many decks, and experienced players who don’t want to create a deck entirely from scratch. 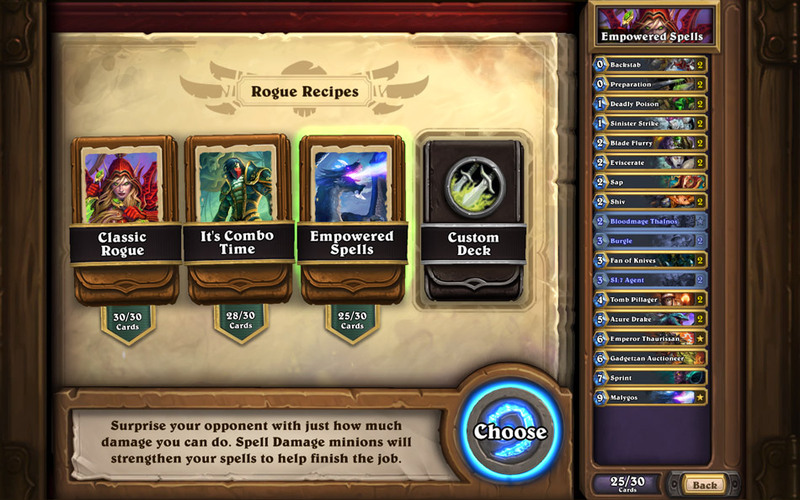 To access the Deck Recipes, simply go to your Collection Manager via the “My Collection” button, select the “New Deck” option under “My Decks,” and pick your class; then you’ll see the Deck Recipes on the left-hand side. Three are available for each class, including one classic recipe, and two themed recipes. 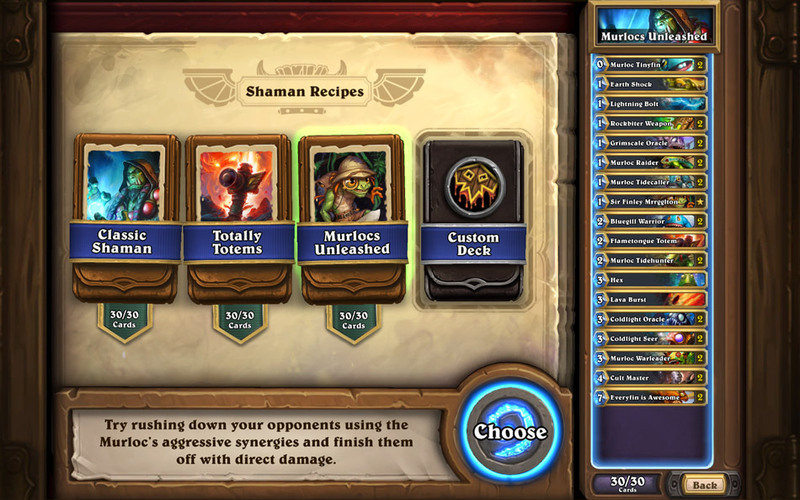 If you want to quickly jump into a game and need a deck, classic recipes are the way to go. If you’re more experienced and want to try something different, themed recipes may provide some inspiration. Each classic recipe consists of only Basic and Classic cards, and provides a good foundation for you to get started on building most traditional decks. Newer players will find that the classic recipe is a great tool to get familiar with the deck-building process, but they can also serve as a handy shortcut for veteran players looking to get a new deck started. Themed recipes revolve around certain card types or mechanics, and generally promote synergy between the cards included in the recipe. These slightly more advanced decks each promote a specific playstyle, and are better suited for more experienced players looking to try something new. 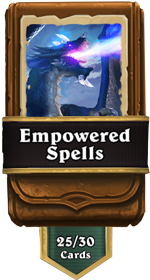 Rogue’s Empowered Spells recipe – This deck focuses mostly on card draw and spell damage, anchored by the mighty essence of magic himself, Malygos. 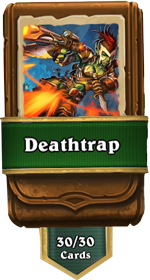 Hunter’s Deathtrap recipe – A control-based deck that focuses on board control and the use of Trap spells. 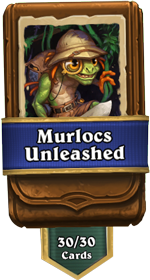 Shaman’s Murlocs Unleashed recipe – An aggressive deck that focuses on buffing synergies, and our favorite fishy friends. Don’t have all of the cards to complete a specific Deck Recipe? No sweat! 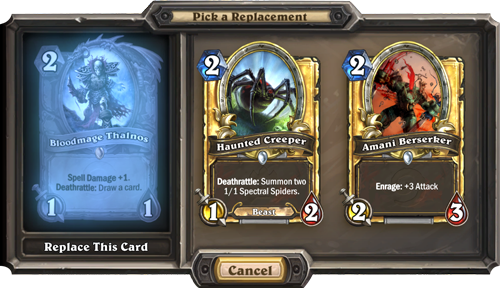 Simply click on one of the greyed out cards you’re missing, and the greatly improved “Suggest a Card” feature will help you replace it with a card from your collection. This should help make it easy to quickly finish a deck, and start playing! We hope you’ll have fun experimenting with Deck Recipes, and that they’ll help get your creative deck-building juices flowing. These recipes serve as a great starting point for building solid decks, and also serve as useful tools for those looking to get into more advanced deck-building. If you’re excited about our upcoming Standard format, we have you covered—all of our Deck Recipes are Standard-friendly. As new cards are released, we may update the current Deck Recipes, or swap some out entirely, so keep on the lookout! *This inspire effect does not require the use of a Hero Power, but may result in excessive tinkering. Use with caution. Reminder: Don't miss our Special Hearthstone Announcement on March 11 at 10 a.m. PST!